Tags 2 diabetes, a gluten free diet, abdominal pain, addison s disease, adequate hydration, adrenal fatigue, adrenal stress, advanced prostate cancer symptoms, aerobic fitness, aging, alcohol, allergies, allergies and intolerances, allergy, amino acids, andropause, anemia, anti depressant, anti inflammatory, anti inflammatory drugs, antibiotics, antioxidant, antioxidants, anxiety, anxiety and depression, anxiety and insomnia, anxiety depression, anxiety disorder, anxiety disorders, anxiety medications, apnea, apnea symptoms, appetite, arthritis, arthritis research, asthma, atherosclerosis, atrial fibrillation, autoimmune thyroid disease, b complex supplement, b vitamins, b12, b12 deficiency, back pain, bacteria, bad cholesterol, basal body temperature, beer, belly fat, biotin, blood pressure, blood pressure high, blood sugar, blood sugar level, blood sugar levels, blood sugar symptoms, bone, bone density, bone health, bone mineral density, bowel syndrome, brain, brain cancer, breakfast, breast cancer, c reactive protein, caffeine, caffeine withdrawal, caffeine withdrawal symptoms, calcium, calories, cancer, cancer treatments, cancers, cardiovascular, cardiovascular disease, cardiovascular system, carnitine, cause of fatigue, causes of fatigue, causes vitamin d deficiency, celiac, celiac disease, cfs, cholesterol, cholesterol high, cholesterol levels, chronic fatigue, chronic fatigue symptoms, chronic fatigue syndrome, chronic fatigue syndrome cfs, chronic inflammation, chronic insomnia, chronic kidney disease, chronic obstructive pulmonary disease, chronic pain, chronic stress, circadian rhythms, coffee, cognitive decline, cognitive function, cognitive impairment, cognitive performance, colon cancer, common cold, constipation, copd, copd chronic obstructive pulmonary disease, corn, cortisol, cramps, daytime sleepiness, dehydration, dementia, depressed, depression, depression and anxiety, detoxification, dhea, diabetes, diabetes high blood pressure, diabetic, diabetics, diarrhea, diet, digestion, digestive, digestive health, digestive problems, digestive tract, dizziness, dopamine, dry skin, ecg, emotional stress, empty calories, endothelial dysfunction, endurance, energy deficiency, energy drinks, environmental toxins, erectile, erectile dysfunction, estrogen, excessive daytime sleepiness, exercise, exercise and stress, fatigue and sleepiness, fatigue causes, fatigue symptoms, fatigue syndrome, fatigue vitamin, fatigued, feel tired, feeling tired, fibromyalgia, fitness, folate, food, food allergies, food allergies and intolerances, food allergy, food intolerances, Forgetfulness, free radicals, functional mri, gastrointestinal, generalized anxiety, generalized anxiety disorder, ghrelin, glaucoma, glucose, gluten, gluten free, gluten free diet, gluten intolerance, gluten sensitivity, glycemic load, glycemic load diet, good cholesterol, hardening of the arteries, hdl, headaches, health, health problems, healthy fats, healthy lifestyle, heart disease, heartburn, hepatitis, high blood pressure, high blood sugar, high cholesterol, high cholesterol levels, high cortisol, high cortisol levels, high density lipoprotein, high glycemic, high glycemic load, high triglycerides, history of cancer, hives, homocysteine, homocysteine levels, hormone, hot flashes, hpa axis, hpa axis dysfunction, hydration, hypothyroidism, ibs, ibs, immune system, inactivity, infection, infertility, inflammation, insomnia 2, insulin, insulin resistance, iron, iron deficiency, irritable bowel, irritable bowel syndrome, irritable bowel syndrome ibs, joint pain, lack of sleep, ldl, leaky gut, leptin, lipoprotein, liver disease, loose stools, Lose Weight, low blood sugar, low blood sugar symptoms, low cortisol levels, low hdl, low libido, low magnesium, low testosterone, low testosterone levels, low vitamin d, low vitamin d levels, lower back pain, lower your blood sugar, lung disorders, magnesium, magnesium deficiency, medical conditions, melatonin, memory, memory loss, menopausal, mental health, metabolic rate, metabolic syndrome, metabolism, migraines, mood, more energy, mortality, muscle, muscle aches, muscle cramps, muscle mass, muscle pain, muscle tension, natural healing, natural therapies, natural treatments, neurotransmitter, niacin, night sweats, non celiac gluten sensitivity, nsaids, nutrients, nutrition, nutritional deficiencies, nutritional value, nuts, obesity, obesity and cancer, obstructive pulmonary disease, omega 3, omega 3 fatty acids, omega 6, osa, osteo, osteoporosis, oxidative damage, oxidative stress, pain, pain killers, Pancreas, panic disorder, people with depression, perimenopause, perimenopause symptoms, physical activity, phytonutrients, poor sleep, poor sleep quality, post traumatic stress disorder, post viral, post viral fatigue, potatoes, prediabetes, prediabetes to diabetes, processed foods, Prostate, prostate cancer, protein, ptsd, pulmonary disease, radiation, reactive hypoglycemia, reactive oxygen species, recovery, refined carbohydrates, refined grains, reflux, rem sleep, report, restful sleep, rewards, rheumatoid arthritis exercise, risk factors for cardiovascular disease, second hand smoke, serotonin, short term memory, side effects, signs of dehydration, simple carbohydrates, skin, sleep, sleep apnea, sleep apnea symptoms, sleep deprivation, sleep disorder, sleep disorders, sleep disturbances, sleep issues, sleep quality, sleep study, snoring, sore throat, spinach, stages of diabetes, stay asleep, stay healthy, strength, stress, stress depression, stress reduction, stressful situations, stroke, studies show, suffering from depression, suffering from insomnia, sugar, sugar level, sugar levels, supplement, supplements, symptoms fatigue, symptoms of caffeine withdrawal, symptoms of fatigue, testosterone deficiency, thiamine, thyroid, thyroid hormone, tired, tiredness, tobacco, tocotrienols, toxins, traumatic brain injury, Triglycerides, tumor, type 2 diabetes, types of depression, tyrosine, unable to sleep, underactive thyroid, vegan diet, vegetables, vegetarian, viral fatigue, viral infection, virus, vitamin, vitamin b deficiency, vitamin b12, vitamin b12 deficiency, vitamin c, vitamin d, vitamin d deficiency, vitamin e, vitamin supplements, vitamins, vitamins and minerals, vitamins minerals, water retention, weight control, weight gain, western diet, white blood cells, whole grains, work related stress, zinc. 1. I’m Tired of This! I thought you might be interested in this article on https://universityhealthnews.com: 2. 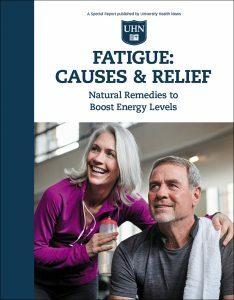 What Causes Fatigue?